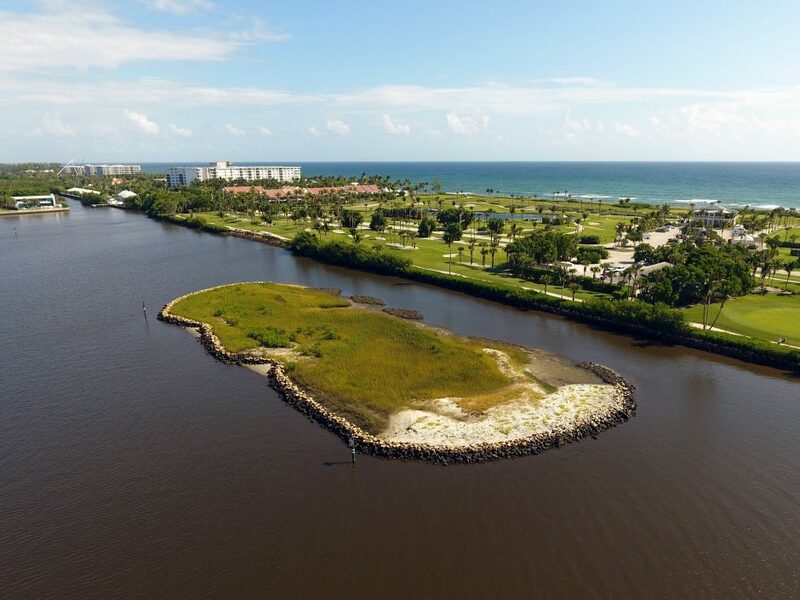 The Grassy Flats restoration project was a collaborative effort among six partners, led by the Palm Beach County Department of Environmental Resources Management (PBCERM), to cap approximately 30,000 cubic yards of muck sediments and enhance/restore 19.5 acres of seagrass and mangrove habitats in the Lake Worth Lagoon. 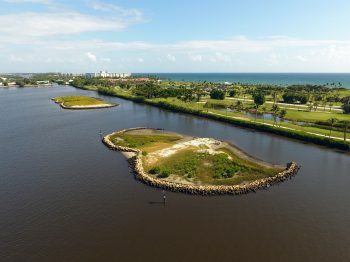 To provide structural complexity and ecological diversity, 1.5 acres of salt marsh, 0.51 acres of tidal flats, and 0.93 acres of oyster/artificial reefs were also created. 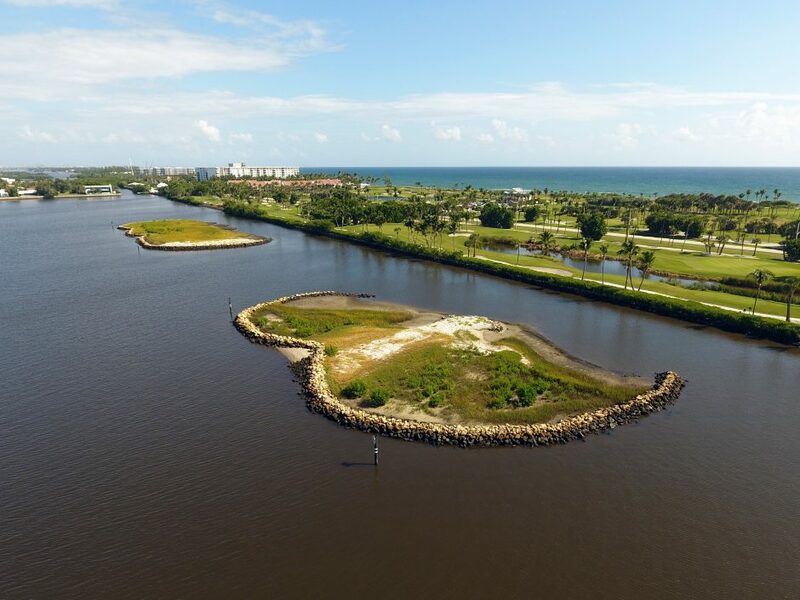 This project reduced sedimentation, water contamination, and climate change impacts in the Lake Worth Lagoon, benefiting over 130 species of fish. Text and photos provided by Palm Beach County Department of Environmental Resources Management.